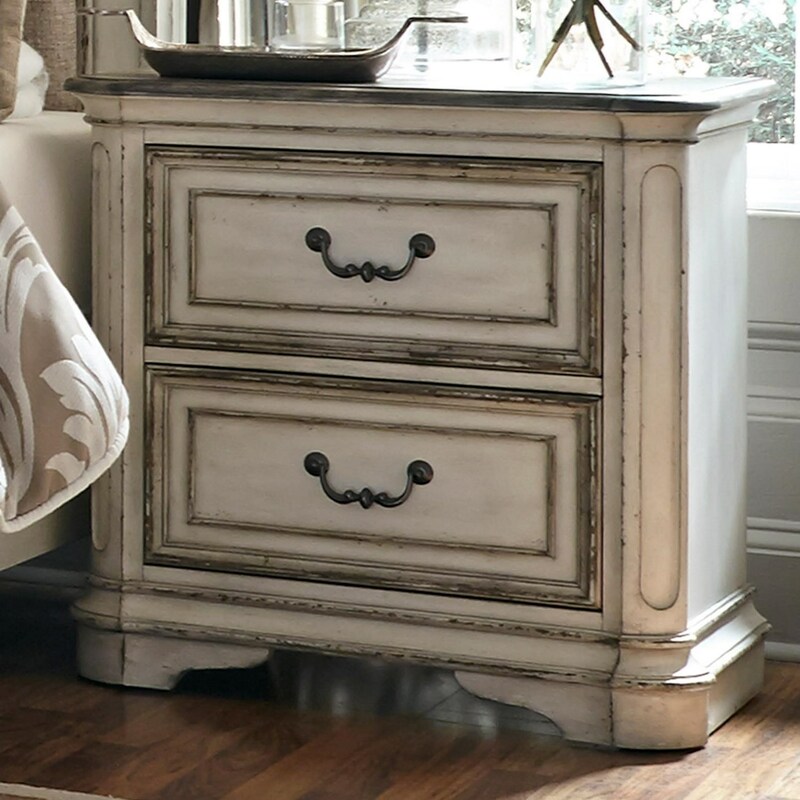 Highlighted by vintage and rustic style accents, this beautiful nightstand adds accommodating design to your bedside. Featuring two fully finished dovetail drawers with metal full extension glides, piece includes a top felt-lined drawer for more delicate items. Completed with antique brass knob and bail hardware with an antique white finish, this piece presents formal elegance for your home. 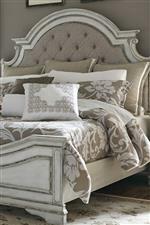 The Magnolia Manor 2 Drawer Nightstand with Top Felt-Lined Drawer by Liberty Furniture at Miskelly Furniture in the Jackson, Pearl, Madison, Ridgeland, Flowood Mississippi area. Product availability may vary. Contact us for the most current availability on this product. Storage Two fully finished dovetail drawers with metal full extension glides. Top drawer includes felt lining.